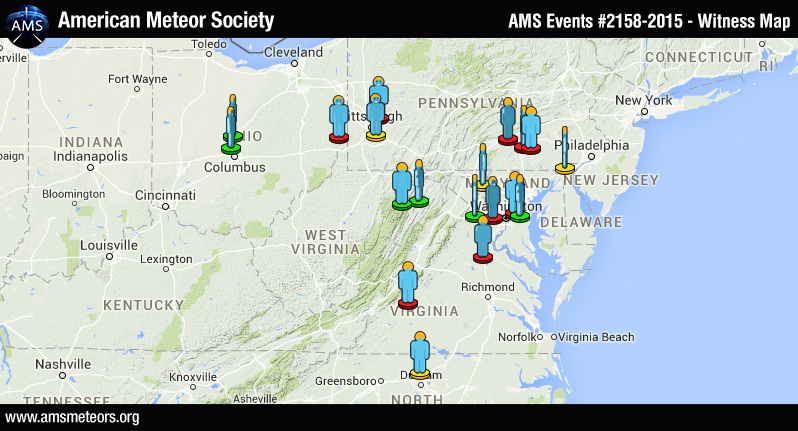 The American Meteor Society received over 20 reports so far about a bright meteor (maybe a fireball) that occurred over West Virginia on Tuesday September 8th 2015 at 9:27 EST (01:27 UT). Observers from as far North Carolina and Ohio reported seeing a bright light in the sky. This event has been captured by an Earthcam located on the Washington Monument. If you witnessed this event please fill out an official fireball report. 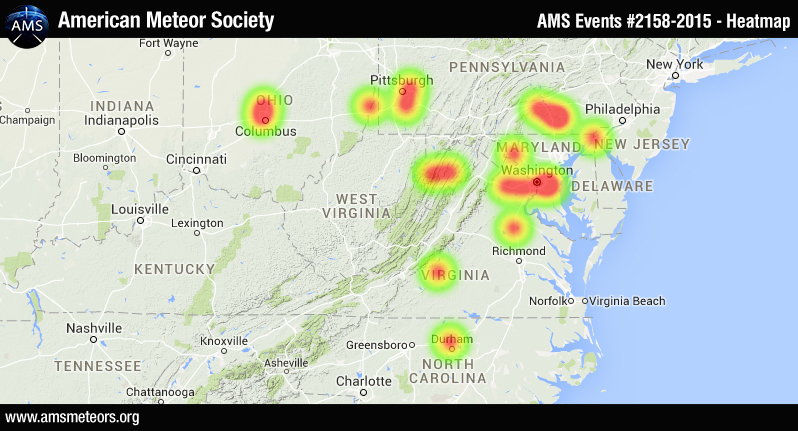 Below are the heat map and the witness map of the event.